The Council announces Amy Williamson, as its new Visual Arts Program Manager and Gallery Manager of the Georgine Clarke Alabama Artists Gallery. Amy is Birmingham native, holds a Bachelors in French and Art History from Atlanta's Oglethorpe University. She earned her Masters in Art History from the University of Alabama at Birmingham. Her graduate research focused on women's art collecting practices and museology. She has previously served as the Fine Arts Assistant at the Hoover Public Library and interned at the Birmingham Museum of Art for two years. 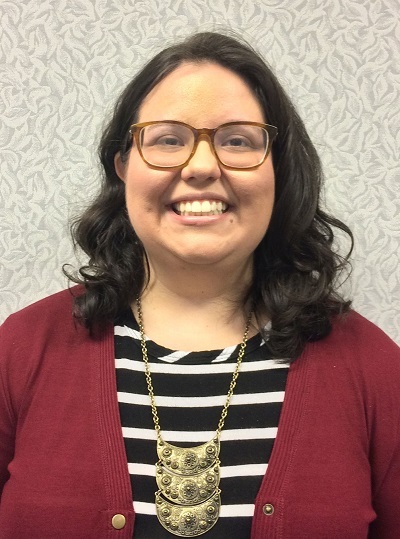 In 2016, she accepted the position of Public Programs Curator at the Alabama Department of Archives and History. She is involved with several professional organizations and has served on the American Association for State and Local History's Educator and Interpreter's Committee for three years. Williamson is the author of several published articles on museum education and the role of technology in enhancing the gallery experience, and has presented scholarly papers at conferences in Tuscaloosa, Atlanta, Los Angeles, and Baltimore. Elliot Knight previously held the Visual Arts Program Manager/Gallery Manager position. Dr. Knight is currently the Council's Deputy Director and will be moving into the Executive Director position on January 1, 2019.